I don't know at what point loose-fitting pants with elastic waistbands became a trend but I'm sure glad they are currently in style! I know the above description might not sound like the most flattering or fashionable description but when the pants have a fantastic floral pattern like these ones from H&M, they definitely become chic! The thing I love most about these pants is that they feel like you're wearing pajamas! Who doesn't want to feel comfortable, yet still be fashionable at the same time? As I stated previously, these pants might really end up looking like pajamas if you don't style them right. In an effort to avoid this, I went with a luxurious cable knit cashmere sweater to dress them up a little. 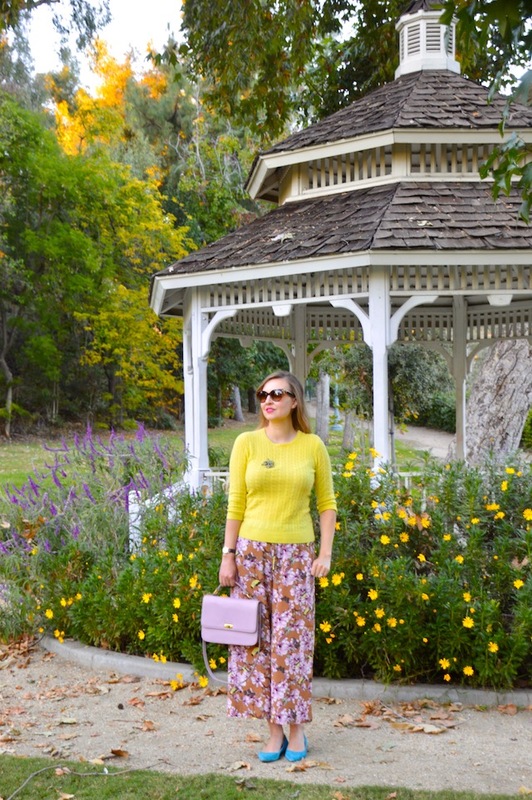 I love this yellow sweater because it highlights the gorgeous yellow birds that are perched in the floral print of the pants. As a finishing touch, I added a beautiful brooch to bring out the flowers featured on the pants. 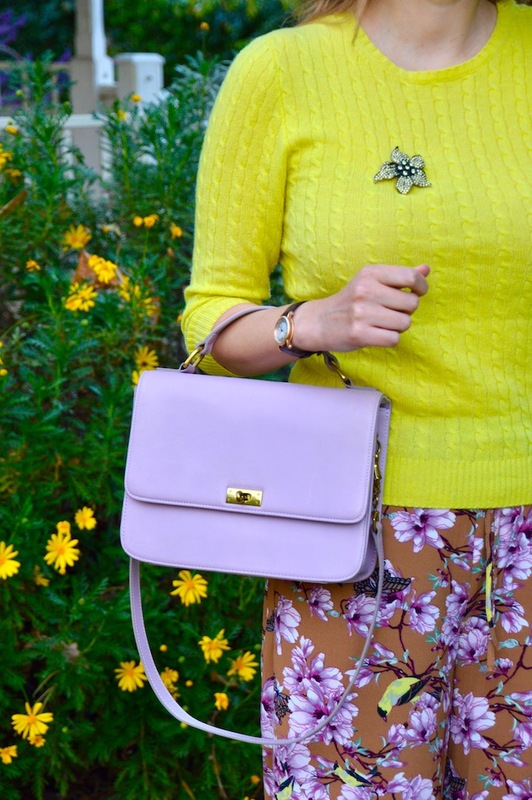 Luckily, even though it is fall, I was also able to find a place that still had some pretty yellow flowers to really tie the whole ensemble together! I love your floral pants! 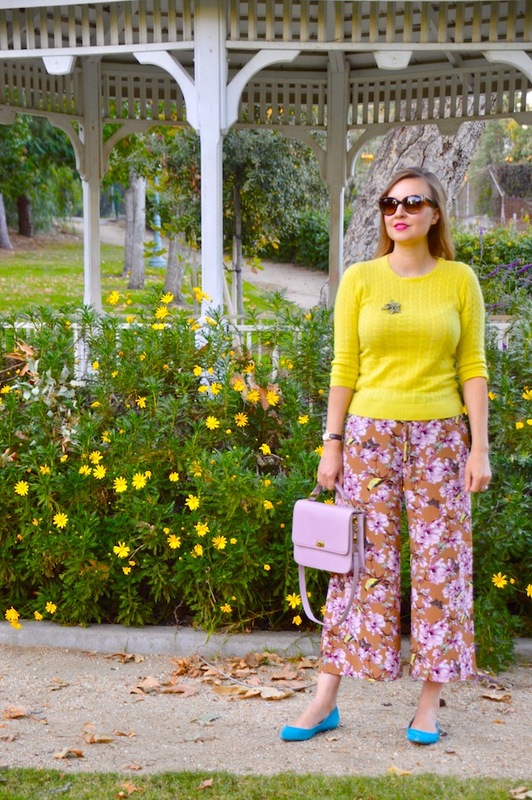 I just posted about floral pants on my blog! Haha great fashionistas think alike!